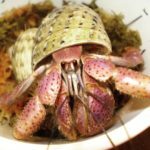 For discussion and photos of all of the non-hermit crab pets we hold dear, including other crab species. 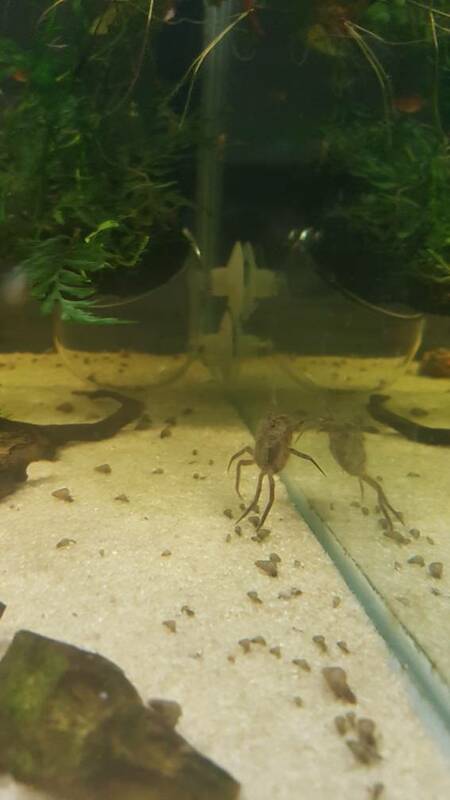 Very exciting to introduce my new colony of Australian Freshwater Micro Crabs - amarinus lacustris! 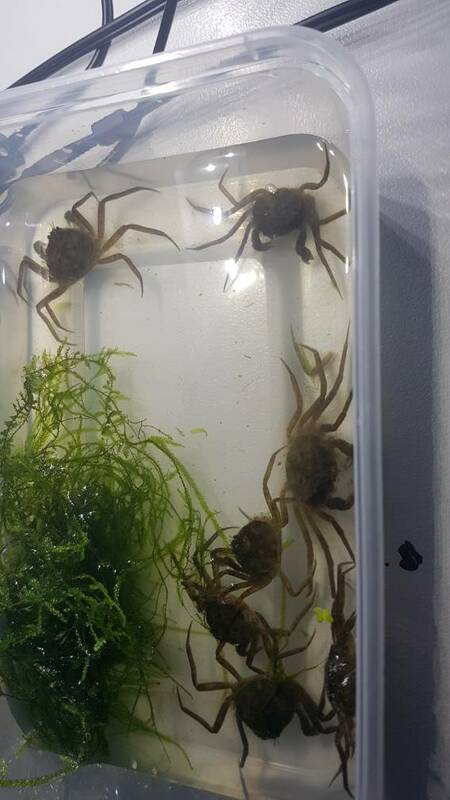 They small freshwater crabs (carapace is around 1cm - half an inch - wide), and will breed in freshwater... shrimp and fish safe. However is known to prey on small snails! 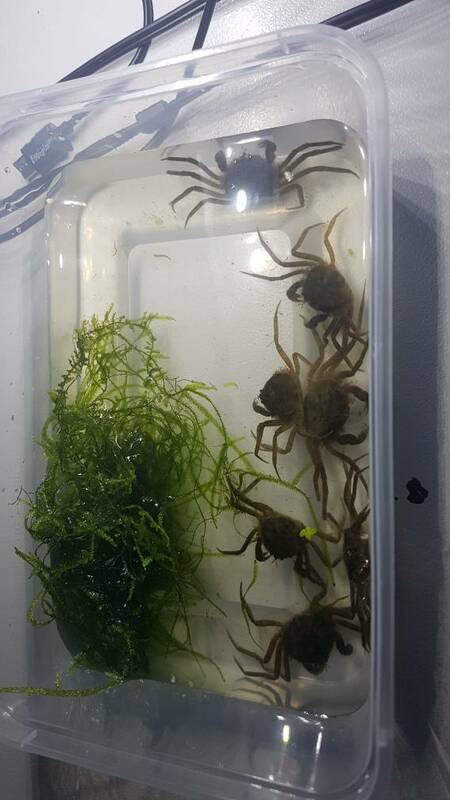 Transition container - to capture and transport to aquarium... was worried in handling them with hands, but they dont pinch at all! Re: Not the usual crab! Oooh, they are so neat! Congrats on the new additions! Ty, they are pretty neat. Been looking for them for the past - 5 - years... when i saw someone selling them, had to jump on the chance! 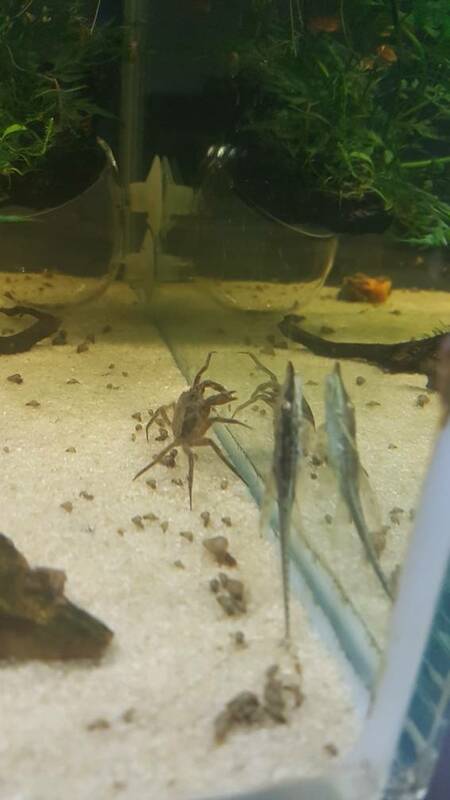 Freshwater crabs are super interesting, and fun to watch! Congratulations on the new guys! 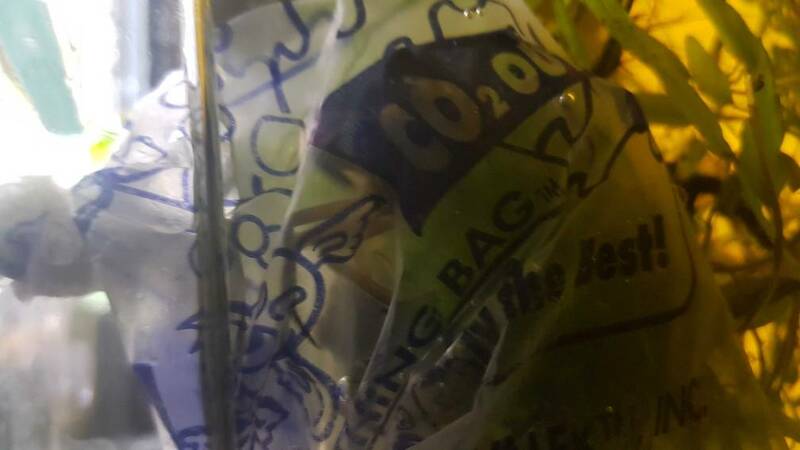 I am the proud owner of my hermit crabs, aquarium fish, and isopod totes! Very cool! Thanks for sharing! Ty both! Very intertaining, and really fuzzy as well! And seeing them swim, is adorable! Wish we had those available in the states. We can get the Thai micro crabs which look a little similar but would fit inside the claw of one of those and so are very difficult to see even with good eyesight. Orin wrote: Wish we had those available in the states. We can get the Thai micro crabs which look a little similar but would fit inside the claw of one of those and so are very difficult to see even with good eyesight. I thought the Thai micros were small... but not that small! After having them for nearly a week - all seem to be doing well, they really only come out at evening/lights out (all come out after dark) but I've counted 7 so they all seem to doing well. My MTS colony that I had in this tank is completely wiped out unfortunately, which is a bit of a shame since I enjoy having my snails. 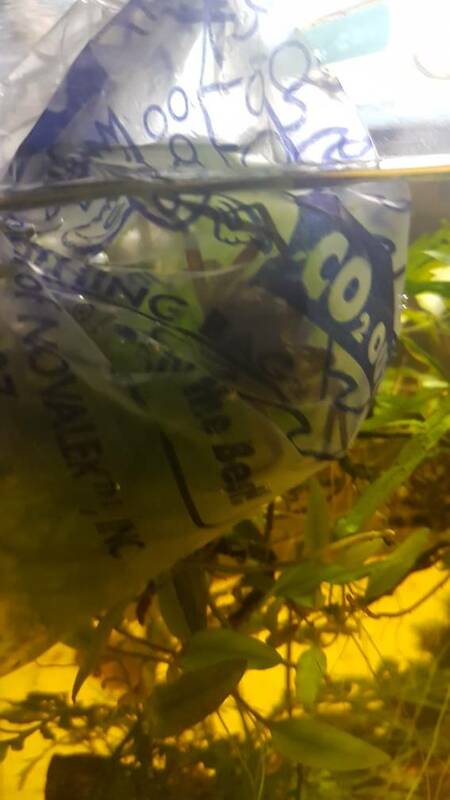 I'll end up just having my snails in the filter, and when cleaning keep a few in there to breed and move the rest to the 'main tank' or my other aquarium... So if you dont like snails, get these guys. Orin wrote: How are they doing? Honestly. Not great - all of them died or either escaped somehow... I'm not sure as to why or how, but over the course of a couple of months numbers slowly dwindled. No idea as to why, since the only thing that was of concern is my pH - which was around 6.0, but the person who I brought them from keeps them at a pH of 6.5.... - and low kH (but I supplement with carbonate to increase it... Oh, never saw them eat besides snails, which they stopped eating after a couple of weeks and refused to eat. I think if I was to try again, I'd try in cooler water and keep them separate from fish - and spot feed them to ensure they do eat... or keep them in a well planted tank/or pond outside, full of aufwuch to keep em happy. I'm sorry for your loss! Thanks for the update, that is an oddly low pH. My tanks are 7.3 to 8. Did they molt in your care? The Thai micros molt every two to three weeks depending on size. Orin wrote: Thanks for the update, that is an oddly low pH. My tanks are 7.3 to 8. Did they molt in your care? The Thai micros molt every two to three weeks depending on size. My pH is my tanks are naturally pretty low due to Melbourne water and driftwood. Never had really any issues with it in the past.... but most of my fish appreciate acidic conditions. A couple moulted twice, most moulted at least once. That is very interesting. 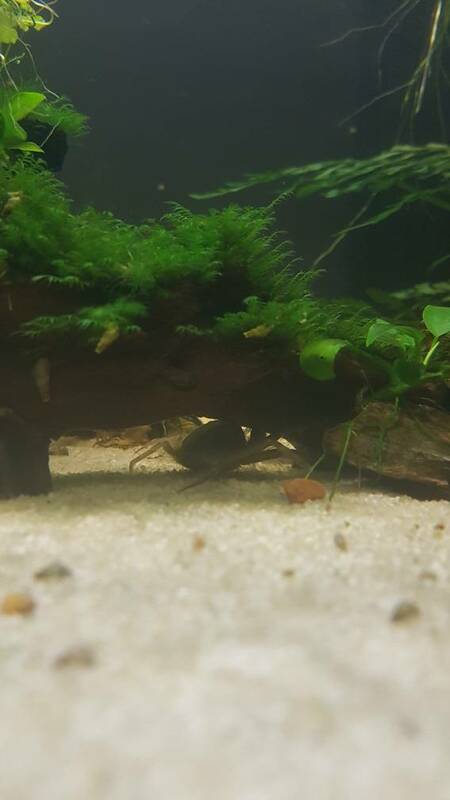 None of the other crabs I've kept from different groups molt very often unless they are very young. It seems like the resources required for molting so often would create a disadvantage. Or at least, I think they did. A couple looks pretty much identical - in terms of size - so I could be wrong, but I pretty sure they moulted twice. But I do hope to get my hands on some aquatic aussie freshwater crabs from up north, that do well in tropical tanks - since these guys do better in temperate setups, but according to many, do fine in tanks up to 28C (80F)... the tropical crabs grow larger however, and more likely to catch/eat fish... and not fully aquatic, so when I did run into them a few years back I didn't get one. Fully regret the decision now however.